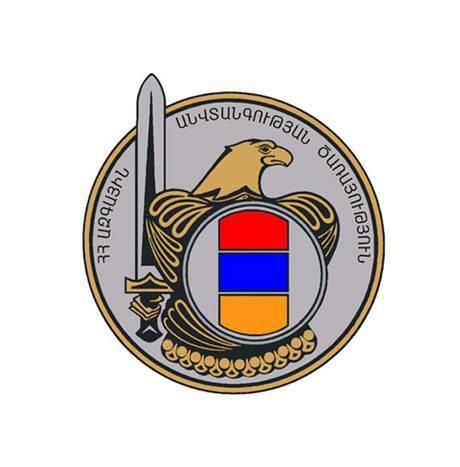 The National Security Service of the Republic of Armenia, as a result of operative-search measures and complex investigation activities conducted within the framework of implementation of its functions aimed at the fight against economic and corruption crimes, has detected and prevented new cases containing elements of obvious crime. In particular, according to the preliminary obtained data, persons who were in close contacts with corresponding officials of the Armenian Nuclear Power Plant CJSC, by initiating formal resale transactions between companies owned by them and in such a way boosting the real prices on goods, during 2017-2018 sold to the ANPP, for 33 mln. AMD, spare parts which were considered to be NPP devices of the first safety classification costing only 7 mln. AMD, thus wasting nearly 25 mln. AMD. The Investigation Department of the NSS of RA has initiated a criminal case on the fact; a preliminary investigation is conducted, the legitimacy of other supplies made to the Armenian NPP is being checked. Within the framework of another criminal case initiated on the materials prepared by operative units of the NSS of RA, it has been established that Director of the Gyumri branch of the Yerevan State Conservatory after Komitas SNPO, during 2012-2017, out of the financial means allocated to the organization, transferred nearly 121 mln. AMD to the NGO managed by herself, after which the financial means were misappropriated. Besides that, she misappropriated another 3.000.000 Russian rubles out of the financial means allocated to her same NGO by an international foundation in 2015 for the purpose of conducting a festival, stating on the basis on forged invoices that the financial means had been allegedly spent for the hotel accommodation of the festival participants. Officers of the NSS of RA detected also cases of misappropriation, with the abuse of power, in particularly big amounts of financial means up to tens of millions of AMD by employees of different municipalities, of a number of RA marzes, and establishments attached to them. Particularly it was found that the mentioned individuals paid salaries from the community budget to the individuals, who hadn’t gone to work for a long time, issued money for undelivered services, for the goods and diesel fuel that were not in fact been obtained, and issued money on the pretext of providing monetary support to the socially insecure families. Besides, violating the established order they provided permissions for construction to their close ones, alienated or rent buildings, facilities and land areas of the community at a price lower than on the market. Ten criminal cases initiated in these connections were sent according to investigative subordination to continue the preliminary investigation. The National Security Service warns once again that the process of proper management of budget means will be kept under operational control, and all the necessary measures will be taken to prevent and detect all the possible cases of abuse and embezzlement. Note: The suspect or accused of an alleged crime is considered innocent as long as his guilt is not proven in a manner prescribed by the Code of Criminal Procedure of RA-by the court decision entered into legal force.